How Do You Write A Good Thank You Mail After A Job Interview? Home / Career Advice / How Do You Write A Good Thank You Mail After A Job Interview? 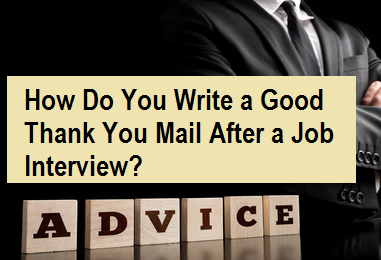 In this article 'how do you write a good thank you mail after a job interview? ', you'll get more information and details help with your career knowledge, feel free to copy or share. Many people tend to sit back after the job interview and wait for a response from the employer. Sad, because after the job interview you can take all kinds of actions to increase the chances of a job. One of the actions "that you can take after the job interview" is sending a thank you mail. More than half of the applicants never send a thank-you mail after the interview, while employers and recruiters appreciate this. A missed opportunity! What should all be in a thank you mail? Why do you have to send a thank you mail? To whom and when should you send the mail? In this article we answer these questions! Why send a thank you mail? You will probably not be accepted because you sent a thank you mail, but you certainly do not want to be the person who did not send a thank you. There are a number of reasons why you should send a thank you mail. Firstly, you can thank the people you spoke to in a thank-you email for the interview. More than half of the applicants never send a thank you mail after the interview. So it is a good way to distinguish yourself. In addition, you can refresh the recruiter's memory about who you are and what you will bring. A recruiter probably conducts several job interviews, making it difficult to remember all candidates well. A thank you email distinguishes you from the rest and ensures that the recruiter does not forget you. If the employer or recruiter sends an e-mail back, you can start a conversation with a response to this e-mail. You can use the conversation to ask additional questions. For example, you can ask if you can walk a day to get a better picture of the function and the corporate culture. 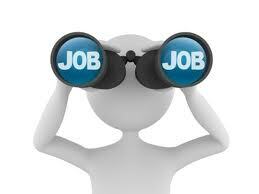 It shows that you are genuinely interested and that you want to do everything to get the job. Make sure you do not get too excited and send too many e-mails. This can be desperate and cause irritation to the employer. Finally, there is still a chance that you will be rejected. With a thank you email you can ask why you were rejected. You can then use this knowledge for job interviews in the future. What should be in the thank you mail? You always have to refresh the recruiter's memory. A recruiter probably conducts several job interviews, making it difficult to remember everyone well. Mention who you are and when you have spoken to each other. Make the message more relevant by using information from the conversation. This way you show that you have listened well and that you are enthusiastic about the job. In addition, it serves as extra memory support for the recruiter or employer. Summarize again what you bring as a person and what your added value is for the company. Your talent is exactly what the recruiter is looking for. Unique qualities with which you distinguish yourself from all those other applicants. Sometimes you do not give all the answers you wanted to give through the nerves. A thank you mail is a good way to explain the answers you gave during the conversation. If the call did not go well, a thank you mail can be the last resort to limit or repair the damage. M honor tips on a successful comeback after a bad first impression, you can find here . Who do you send the thank you mail to? You send the thank you mail to the people you have spoken to. This may sound logical, but in many cases you do not have an e-mail address of your conversation partner (s). For example, because the secretary has scheduled the call and sent you an invitation. To prevent sending the thank you mail to the wrong person, you must search for the correct e-mail address. If it is not possible to find an e-mail address via Google or another search engine, you can consider sending a message via LinkedIn. LinkedIn is a business network, which makes it suitable for such messages. If you have spoken with several people, it is advisable to send a separate e-mail to everyone. The probability is present that the message is shared internally. It then comes across as very easy when you have sent the same e-mail to everyone involved. When do you send a thank you mail? On the one hand, you do not have to send the thank you mail too quickly after the conversation, because you do not want to come across as desperate. On the other hand, you do not have to wait too long to send the e-mail. The conversation must still be fresh in the memory of the recruiter. Moreover, you run the risk that the decision has already been taken if you wait too long. We advise you to send an e-mail between 24 and 48 hours after the job interview. If you have not received a response after a few weeks, you can always send an e-mail asking for an update. As you have read, there are a number of things that you should take into account when writing a thank you email. Nevertheless, you should try to keep the message as short as possible. You do not want to take too much of the recruiter's time. In addition, a large piece of text can deter the reader, so that the whole text is not read. Dear (name), Thanks for yesterday's nice conversation. I have a good feeling about it and I have a clear picture of the function and the corporate culture. The function fits seamlessly with my qualities and interests. From a young age it is my passion for ..., that is why I am convinced that this function is written on my body. Thank you for your time and effort. I am very motivated to work as a (function) at (name company) to get started and look forward to your response! Statement: If the job interview is difficult, a thank-you email can ensure that you can get a follow-up interview!